An unspecified population of young female HIV carriers roam the streets of Borno State, hawking items and, in the process, spreading the virus to promiscuous buyers of those items. 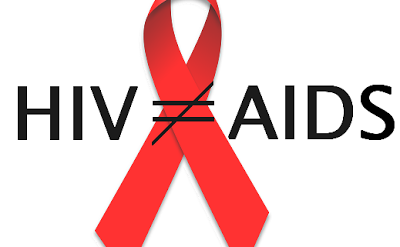 Rendering the HIV/AIDS situation in Borno State more scary, in contrast to the current decrease in the HIV/AIDS prevalence nationwide, is the cessation of marriage among the carriers, which is one of the ways to contain the spread of the virus to only among the carriers. The young HIV-carrying girls are said to be the daughters of about 4,000 HIV-carrying widows whose husbands were killed in the Boko Haram insurgency. While surviving in IDP camps and host communities, these mothers and daughters contracted the virus in their struggles to squeeze out survival through promiscuity amidst difficulties. These 4000 widows and their daughters, registered between 2015 and now, form about 40 per cent of the surviving 11,600 HIV carriers in the register of the Network of People Living with HIV/AIDS (NEPWHAN) across Borno State. The 11,600 are the survivors out of the 27,000 originally in the registers of the Network, after the death of about 15,400 over the last three years due to the high mortality rate among the HIV/AIDS carriers in the state. “These 4,000 widows and their daughters have no relations to assist them with necessary provisions for survival to augment the little they collect from SEMA and NEMA, and they are forced by hardship to send out their daughters to the streets, hawking items and, in the process, spread the virus to promiscuous customers of their wares, who took advantage of the young girls,” Hassan Mustapha, Borno State and Northeast Coordinator of NEPHWAN, told Kanem Trust. He said this was because of the failure to implement the three provisions to the carriers of the virus in the state. “These, agreements are: care and support, which is principally the provision of the ARV, food supplement and skills acquisition. These are the responsibilities of Borno State government and the supporting partners such as the World Bank, FHI and UNFPA. “The agreement is that the state government provides counterpart funding while the supporting partners provide the drugs, food supplements and skills acquisition. “For the drugs, you know what that means. The food supplement is because the carriers are placed on specific diets and the skills acquisition is to enable them earn cash to meet other necessities of livelihood. “The supporting partners can only meet their own parts of the agreement if the state government meets its own by providing the counterpart funding. “Borno State government has, however, not released the three years counterpart funding it owes, amounting N45 million. We heard it was approved by the governor since three years ago. “Due to the inability of the state government to provide the counterpart funding, the supporting partners have remained silent on everything other than treatment, which is provided by FHI 360. “This delay in the release of the cash backing has plunged us into the present situation where young and adult carriers have to explore other means to meet needs, including promiscuity by the HIV-positive widows and daughters, because drugs alone are insufficient for treatment without the food supplement. “In fact, let me even tell you that the World Bank has ceased to be a supporting partner since 2014 when the life cycle of its HIV/AIDS project expired. So no support comes from the World Bank now,” explained. “The situation of women carriers is even more pathetic,” Mrs Lado Yusuf, a lady-carrier, complained. Babangida Ali Inuwa and Bashir Mukhtar Goni Ali, who are both HIV positive, the state government has stopped the financial support it used to give to carriers who wished to marry from the group. They said the scheme, which was copied from neighbouring Yobe State, has helped in checking the spread of the virus. “Up to 2011, we used to inter-marry among ourselves, because we used to get support from the state government but now we can’t, and everyone is left on his or her own, and you know the danger of that to the society,” Babandida said. However, the state Commissioner for Health, Dr Salisu Kwaya said he was not aware that the government had not paid its counterpart funding. “I am not aware that the state government has not paid counterpart funding, I will find out. “But I know that in the last three years there has been significant increase in drugs supplies, already, there is an order for the central procurement of ARD. “In the last two months, we have offered them (NEPHWAN) financial support running to hundreds of thousands of Naira, I think, they said, to enable them attend a conference in Abuja or so,’’ he told Kanem Trust.